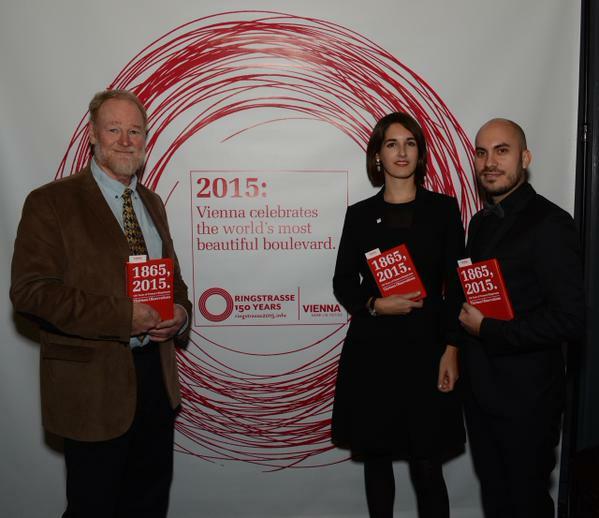 I had the honor to contribute an essay to a Festschrift for the 150th anniversary of the opening of Vienna’s Ringstrasse, the grand boulevard that encircles the Inner City: Vienna’s Champs-Élysées. 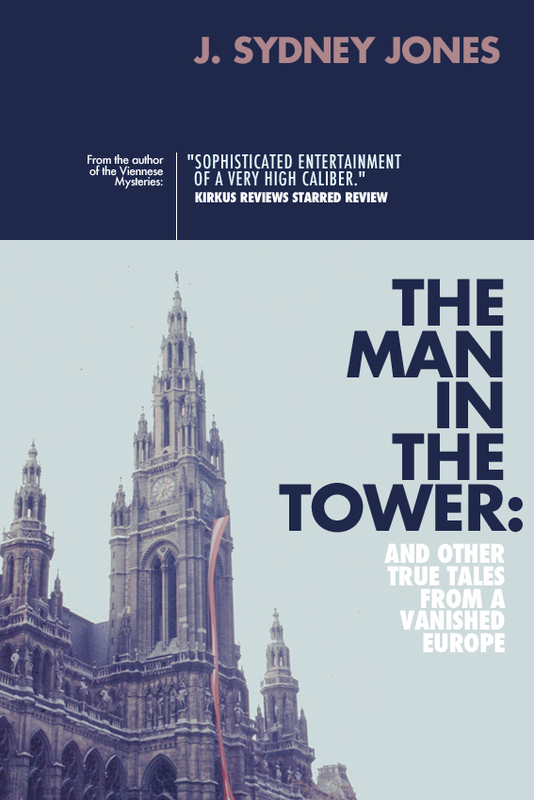 Recently, I read this essay at a Vienna Salon organized by the Vienna Tourist Board at San Francisco’s Ritz Carlton. I include the essay below for those interested. My newest mystery/thriller comes out this April, the first of a new series set in Europe in the 1990s. Expat American journalist Sam Kramer is burned out: too many dead bodies, too many wars covered, too little meaning in it all. He’s got a dead-end job at the Daily European as the correspondent for Vienna, where nothing happens now that the Cold War is over. And that is exactly how Kramer likes it. But his private neutral zone is shattered with news of the suicide of Reni Müller, a German left-wing firebrand and Kramer’s long-estranged ex-girlfriend. To his surprise, Kramer suddenly finds himself the executor of Reni’s literary estate—but the damning memoir named in her will is nowhere to be found. Tracking down the manuscript will lead Kramer to the unsettling truth of Reni’s death, drawing him back into the days of the Cold War and showing him the dark side of the woman he loved. As a student, I frequented a dive of a café near my lodgings in the third district. It was dodgy and not gemütlich at all. A worker joint with a perpetual haze of blue smoke overhead, a zinc bar, and a jukebox on which someone was always playing “Rock around the Clock.” I would take my small orange-covered, graph lined Rhodia notebook and a pocketful of Staedtler HB pencils with me when I went there, order an achtel of gut-burning Vetliner, and imagine I was another Hemingway in the making. One evening a rather drunken man at the next table asked me what I was scribbling. I humored him–he seemed a pleasant enough type–and said I was trying to write a short story about Vienna. He immediately got up, came to my table, and sat down without being invited, breathing rank fumes in my face as he leaned in toward me. “I’ve got a story,” he all but hissed. Then he cast his eyes about the room to make sure no one was watching. It was early autumn and a warm evening; he was dressed in short sleeves. He quickly pulled up the sleeve on his left arm. There, on the inside of his upper bicep was a black tattoo. It took me a moment to decipher it, for it was in Gothic script. I finally realized that it was the letters “AB”. I raised my eyebrows; he nodded. An avid reader of thrillers even then, I knew that this was his blood type. It was also his badge: he was a former SS. “I have stories,” he whispered. At that moment I realized I was not in Kansas (in my case, Oregon) anymore. I was out in the big world where anything could happen, swept up into the cyclone of history. I remember the frisson of excitement I experienced at that realization. I wanted to keep repeating it. 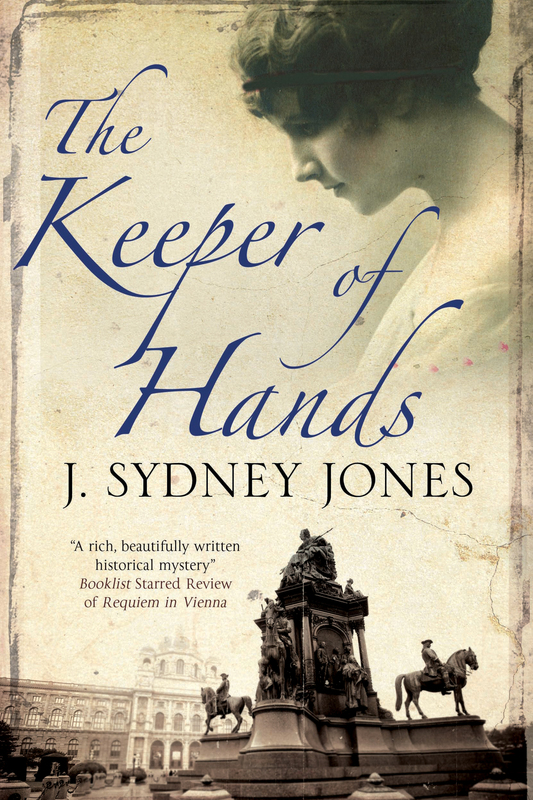 For more about The Keeper of Hands and the background of the Viennese Mysteries, see my podcast interview with Publishers Weekly. I am a great fan of Ignaz Semmelweis. I met him when researching my book on Hitler and his time in Vienna. I found the story compelling. Here was a physician who saw the obvious–not the easiest thing to do. 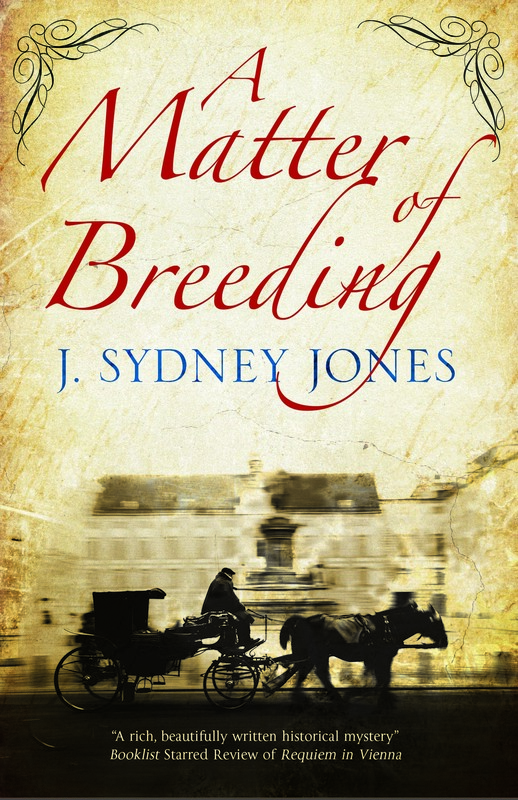 Faced with mortality rates of 10 to 35% for women giving birth in the clinics of Vienna in the mid nineteenth century, he looked for reasons rather than excuses. These women died of what was called puerperal fever following childbirth. In fact, the Vienna General Hospital’s obstetric clinic had three times the mortality rate of the midwife’s ward. 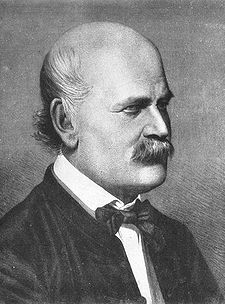 Semmelweis, something of an outsider to Vienna at the time as a Hungarian practicing in Vienna, looked outside of the box. What was the difference here? Well, number one, many of the physicians working in the obstetric wards began their days performing autopsies and dissections in the morgue in the basement of the General Hospital. They were quite literally digging their hands into the viscera of dead bodies teaming with millions of bacteria. But of course at this time the germ theory had not yet been advanced. Bacteria was a word that awaited another century. But using simple empirical evidence, Semmelweis thought that perhaps there was a connection between those doctors dipping their hands into the open cavities of dead people, wiping them off on their soiled white jackets, and then proceeding to assist in the birth of babies, and the subsequent death of the mothers. 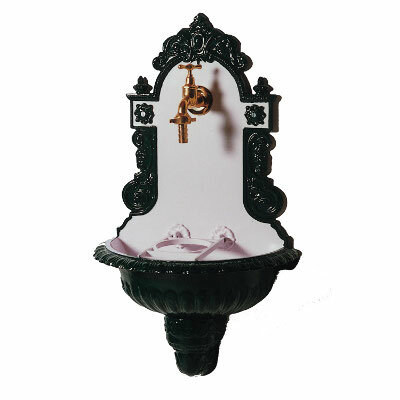 He proposed a simple experiment: before proceeding to work on healthy individuals, doctors should wash their hands in a solution of lime and chlorine. 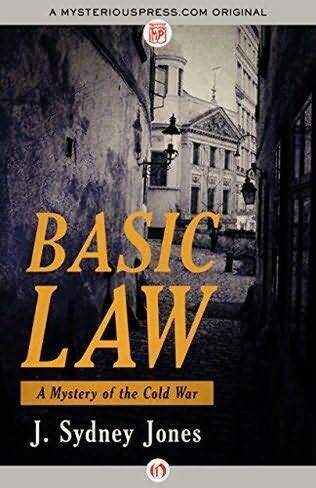 Fans of this blog know that I occasionally post remembrances of Vienna and Europe during the final decades of the Cold War. These have always gotten a good response–good enough that I have gathered some of these together (plus a long short story) for a memoir now available as an Amazon Kindle. Here is the blue-eyed refugee from the Biafran War, Ubhani, the man in the tower of the title, seeking asylum in the Austrian capital; the Hungarian patriot who pays his own special tribute to the 1956 uprising; the nondescript state police agent commissioned to watch foreigners in neutral Austria to ensure they did not ruffle the feathers of the Soviets; the editor of a prestigious Viennese publishing house none too eager to do business with a brash young Ami. Travel back to Czechoslovakia just months after the Soviet’s brutal suppression of Prague Spring in’68; to guard towers along the waist-deep waters of a lake on the Austro-Hungarian border; to a cozy armchair at the British Council Library; to an all-purpose Tabak Trafik: to life in a Cretan cave; or to the final voyage of the SS France. An added bonus is the short story, “Body Blows,” which introduces Sam Kramer, the foreign correspondent protagonist from my new series of novels set in Europe following the fall of the Wall. Cover art is by a talented graphic artist, Peter Ratcliffe. And hey, at $4.99, what’s not to like? Some facts and figures. For many of these I must thank Tony Judt, a gentleman and scholar who is sorely missed. His Postwar is an incredibly readable overview of Europe from 1945 to the early years of the new millennium.